How to Define the CE Hour: CEUs? CE Hours? CE Credits? The primary means used by massage therapy organizations to ensure the integrity and competence of its professional advancement is through continuing education. Learn about the terminology most commonly used by licensing organizations and boards governing the field of massage therapy and continuing education. Understanding the terminology of your professional recertification requirements can take a load of worry off your shoulders. Depending on your renewal guidelines, there is likely to be a pile of rules to abide by, exams to pass, applications to complete as well as continuing education (CE) programs to fulfill. 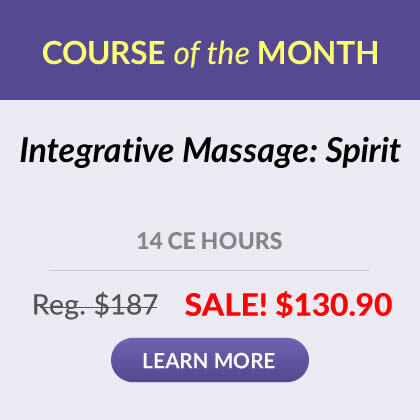 In the field of massage therapy, most state licensing boards and professional organizations use CE hour as the measurement for mandated continuing education. 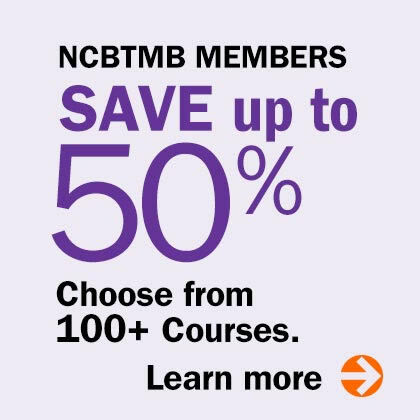 The NCBTMB requires a total of 48 CE hours every four years. Florida licensed massage therapists must complete 24 CE credits every two years. Texas requires 6 CE hours every year while Iowa requires 24 every two years. Associated Bodywork and Massage Professionals (ABMP) certified members must complete 16 CE hours every two years. One CE credit is 60 minutes of instruction. One CE hour is 60 minutes of instruction. One clock hour is 60 minutes of instruction. One contact hour is 50 minutes of instruction. One continuing education unit (CEU) is equal to 10 contact hours. CEUs are rarely used for massage therapy continuing education requirements. The term “CEU” is sometimes used conversationally albeit inaccurately. When setting out to responsibly fulfill your CE recertification or renewal requirements, make sure you are going about it correctly. Unless specified otherwise, most massage therapy institutions mandate continuing education using the CE hour measurement. For further information about your CE requirements or approved courses to help you meet them, please visit www.HomeStudyCredits.org or check directly with your board. www.abmp.com, About Membership, Associated Bodywork and Massage Professionals, 2007.
www.doh.state.fl.us, Renewal Requirements, State of Florida, 2007.
www.dshs.state.tx.us, Massage Therapy Licensing Program, Texas Department of State Health Services, 2007.
www.iacet.org, Continuing Education Units, International Association for Continuing Education and Training, 2007.
www.ncbtmb.com, Requirements for Recertification, National Certification Board for Therapeutic Massage and Bodywork, 2007.
www.idph.state.ia.us, Iowa Board of Massage Therapy Examiners, Iowa Department of Public Health, 2007.